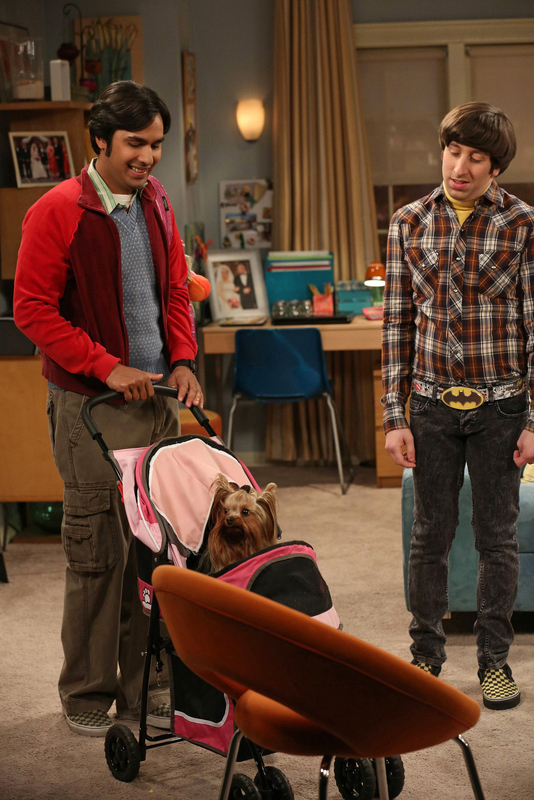 Howard (Simon Helberg, right) and Bernadette run into trouble babysitting Raj’s (Kunal Nayyar, left) dog, on THE BIG BANG THEORY, Thursday, May 2nd on the CBS Television Network. Photo: Michael Yarish/Warner Bros. ©2013 Warner Bros. Television. All Rights Reserved.